A state of the art on Evolutionary Algorithms. A new paper is being prepared! A lot of documentation has been added to the Google Group package (Processing primitives, tutorials…). 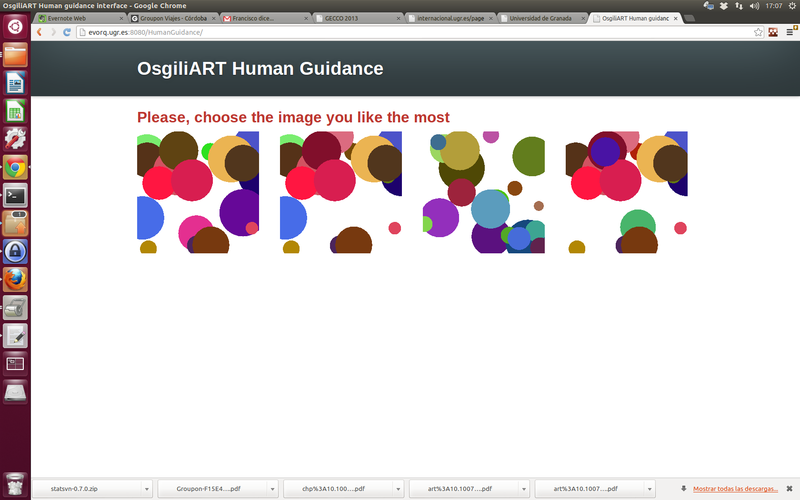 A Human Guidance GUI to vote the most “aesthetical” pictures and adding metadata for future classifications. 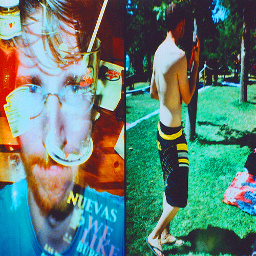 See it in action here! The new module OSGiLiART: new basic “artistic” individuals have been added: a set of circles in random positions or in a GRID. Two different fitness: comparing histograms (H, S, V, R, G or B) and pixel matching. And, a HUGE number of manipulation classes! 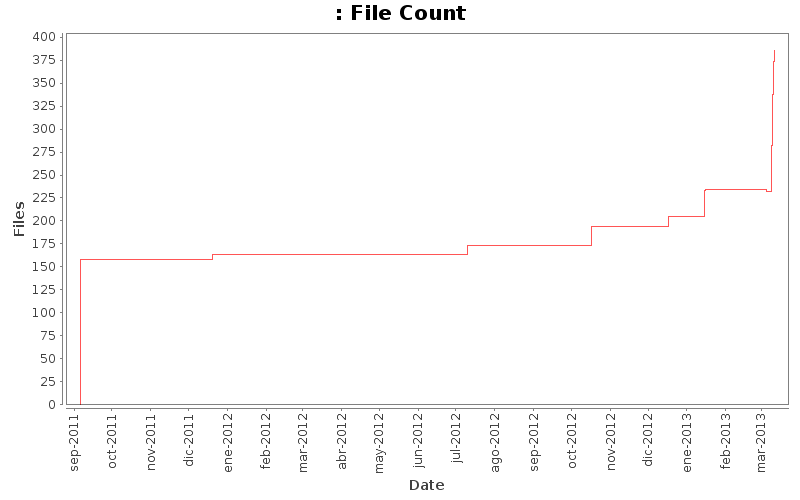 (see for example the SVN statistic obtained with StatSVN). Look at the results of the first executions (they must be improved). 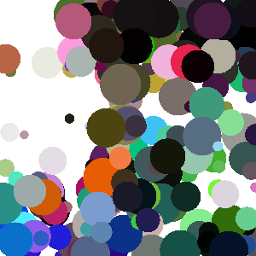 This example is using the Pixel Matching Fitness. This entry was posted in CUSL7, Hackathon, OSGiLiART, Project development and tagged #5hackathon, eas, evolutionary art, osgiliart. Bookmark the permalink.